Home>New Songs>YNW Melly Songs> YNW Melly & Skooly Team Up On Melodic Banger "Till The End"
YNW Melly's buzz has continued to grow throughout the year with every single track that he drops. The rapper began gaining much more recognition through his viral singles and his unique sing-rap delivery. Melly is less than a month removed from his debut album, I Am You and he already has new music in the cut for his fans. Today, he unleashes a new track with Skooly titled, "Till The End." YNW Melly and Skooly prove that they have incredibly chemistry together on wax on their new song, "Till The End." The song serves as the first track Melly's released since dropping his debut project, I Am You. The rapper's new single is a smooth melodic banger that finds both him and Skooly flexing their unique song-like delivery. 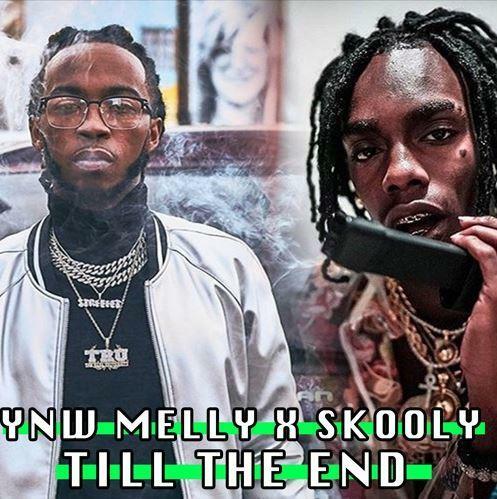 SONGS YNW Melly & Skooly Team Up On Melodic Banger "Till The End"